Monica Helms, creator of the transgender flag, marching in a Pride Parade in 2004. Helms poses with the transgender flag, which she created in 1999. Simply saying the phrase "American flag" automatically generates a mental image for most Americans. But it may not be of the classic stars and stripes. We all know what the American flag looks like, but what about the other kinds of flags that have been designed to express a person’s identity in this country. On GPB's Morning Edition, we'll explore what the power of the flag looks like throughout January. Today, we meet the creator of the transgender flag, Monica Helms of Marietta. 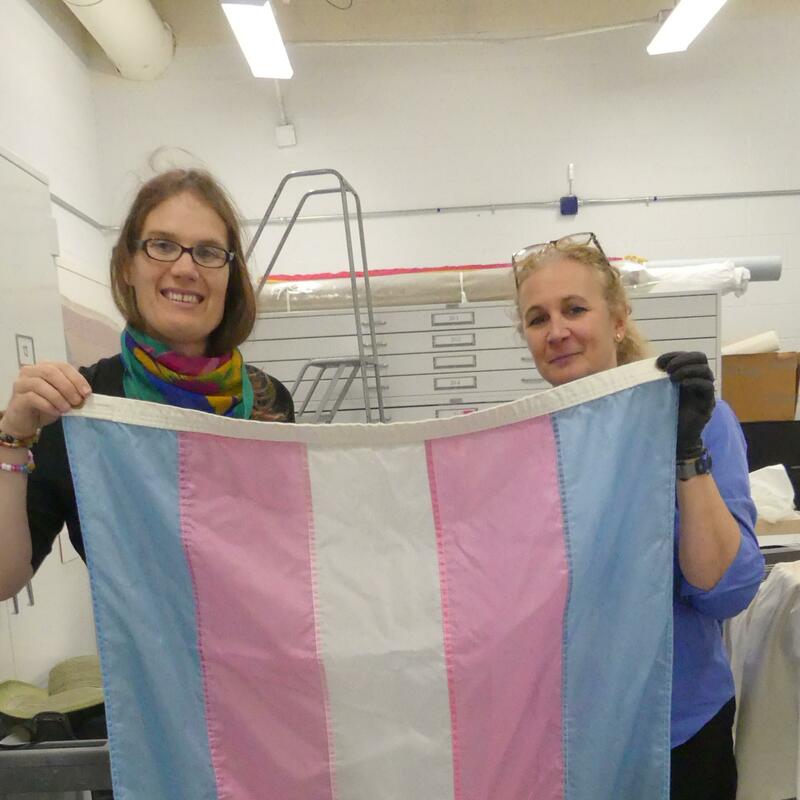 She created the flag back in 1999 and it has been used as a symbol for the trans community ever since. Helm's wife Darlene (left) holds the flag with a staff member at the Smithsonian, where the original flag is being kept. GPB's Leah Fleming sat down with Helms to talk about how she was inspired to create the flag and what it means to have a symbol that identifies her community.